I love this theme. Thank you for providing premium themes for free. this will take you to their premium site that inlcudes the psd file. it’s a membership site. it’s a decent price for a lot of great theme. You should also make a print.css file for this theme so it can be printed better. Can i use these free wordpress themes for free wordpress account at wordpress.com…?? theme dedicated to youth…thanks for the post. nice one which can be user for personal blog.. 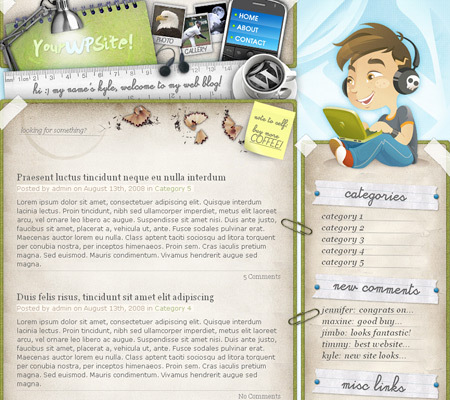 I am going to use it..
Great theme, I ll use for my next wp site.